Package From Santa Review by Marilyn Arriaga | It Is Worth It To Get A Package From Santa! A Package From Santa Is The Answer To Your Child’s Questions – Does Santa Exist? How Do I Know Santa Is Real? The Kids At School Said Santa Doesn’t Exist. Where Is The Proof? A Package From Santa will offer you the exact things you need to show your child that Santa does in fact exist. >What makes Package From Santa Worth It? Sanity mom, Reduced Questions dad! How many times a day has your child asked about Santa? That is just one of the many reasons why getting at least a silver package is worth it. Another is, you get to have them as a fun keepsake to show your kids later on. We recieved the Silver Package to review, this does not change my excitement for this service and have purchased it for other children not my own. Why Can’t Others Just Leave A Child’s Imagination And Magic Alone? It can get pretty frustrating when other people begin to confuse your child. Or they just want to ruin the magic of Santa. Or how about those who are just so miserable they take it upon them-selves to “inform” your child about the non-existence of Santa. Well, I have found a great way to help your child keep the mystery and magic going. Adding Elf On The Shelf is a great addition to getting a package from Santa! No, absolutely not, will it “ruin your child” to encourage pretending, magical spirit, or fantasy. I know you have all heard of Disney right?! So what exactly is A Package From Santa about? I wish I knew about it a long time ago myself! 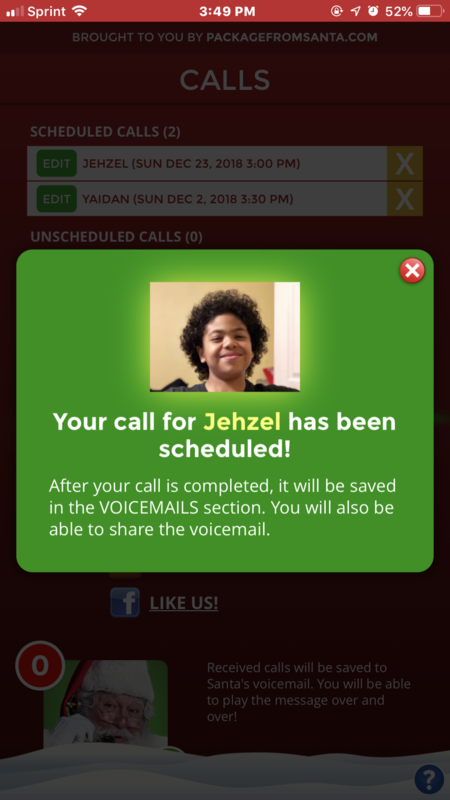 When Jehzel was eight-years-old, no matter what others will tell him; he will most definitely tune you out and ignore you if you ever saidSanta didn’t exist! So I wondered what fun way can I show him that Santa Does Exist and I found it. I’m talking about a little about having proof that Santa Does Exist. I wanted to get more in-depth with A Package From Santa though, it is a great service and your child really will be so excited to be the recipient of getting their personalized Santa Package. First, you go and add your child’s picture, then you add some personalized info to the different items you can add to the package. We got the Silver Package which included a personalized video, a Christmas Eve personalized video, we chose a nice list, a certified good child certificate and a great letter from Santa himself! So let me break it all down for you. First, we wanted to personalize his fun video from Santa’s workshop. Santa wanted Jehzel to know that yes he has been watching his progress and really wanted to let him know that Santa is like his cheerleader encouraging him and showing him how he should be proud of himself. What a confidence booster this is for children. There are a few video templates to choose from, it was hard but decided on this one. Jehzel’s name is pronounced different from what you may think and Santa pulled it off! Jehzel was very surprised that Santa knew his name and actually said it properly, which of course earned Santa some brownie points. We were able to tweak a few things and it all flowed effortlessly. Jehzel watched his personalized video quite a few times each time to tell me a new thing he discovered in the video. So it kept him busy and his mind a little preoccupied waiting in anticipation for the big day to arrive. 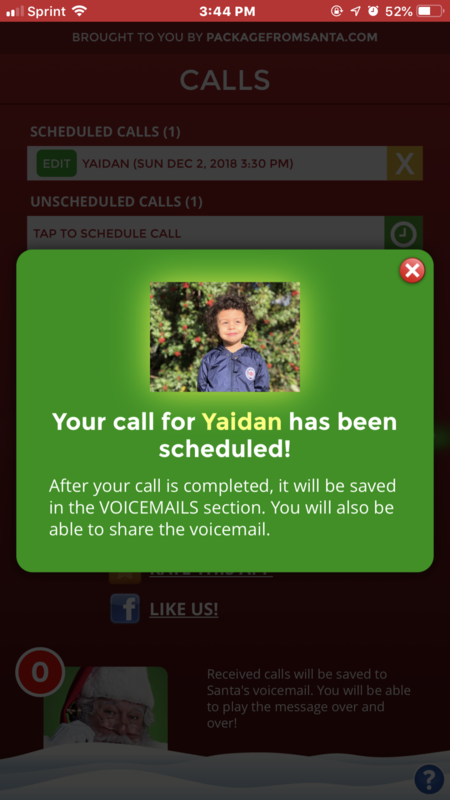 Yaidan was extra excited to hear directly from Santa himself! He is three years old, so can you picture him glowing, just beaming with delight, jumping around bearly able to contain his excitement lol. The Best Way To Reduce Questioning Santas Existence Is Getting a Full Package From Santa As Proof, He Really Does Exist! — can you hear that M&M commercial with Santa and the peanut-filled M&M? You know exactly what I am talking about. Those antsy kids asking daily about how close is Christmas day and all the other questions about what they think they are getting and from who. So don’t forget to print out your free Christmas countdown during your customization process. >Mama When Is Santa Coming… Mama When Can We Open Presents…. Mama Do You Think My Letter Got To The North Pole Yet? These and related questions are asked just about daily, redundantly. Getting Santa’s package helped reduce the antsyness because I didn’t show them everything all at once. I even scheduled their calls separately as well. This helped build the excitement and also opeed up fun conversations about the entire holiday season in general. Magically, Santa’s packaged appeared at our door early in the morning of course. Santa is such a night owl huh, he doesn’t like to be seen it seems too. But, when your child sees their package, and in their name, it shows them the magic of Santa and his existance. An Elf Must Have Dropped It Off! Oh my gosh, Jehzel and Yaidan were so surprised to see this huge envelope that was clearly from Santa! It was delivered to our door during the night time of course. They opened it all up, with help from me. They were ready to tear it up as in so excited he could have torn what was inside ha-ha. They each had a Nice List, it helped them remember to be nice to themselves and others too. This is a great thing to laminate or put into a thin frame, hang it up in their room. The process is easy, you can do it from their app or from your computer. You will need some photos! I used a different photo for each section that wanted a photo. I used photos from throughout the year, to show the boys that Santa watches them throughout the year. You will need between four and eight photos, depending on which package you get. Then you just listen to or watch the previews before choosing which option you want for your child. It will ask for things like names of the child and key people that you’d like to include. It will fill in the rest! This uniquely personalized gift experience creates Christmas wonder and excitement that your child will never forget! Have your camera ready to video every step of this special Santa experience! It all starts at the mail box when the Package From Santa arrives from the North Pole! Delight in the process of making Christmas magic come alive in a very personal way for your child, grandchild, niece, nephew, or any little one you know! Package From Santa has options for every budget starting at $14.95 with an array of add-on goodies to choose from. Create a custom package for each child! What part of A Package From Santa are you looking forward to? I would love to see a photo or video of your child with their own Package From Santa.